The Last Unicorn has been my all time favorite movie since I was six years old, so over 20 years now. It's very close to my heart and I love that story so much. Even if it's sad that I could relate so much in such a young age, it's helped me a lot. 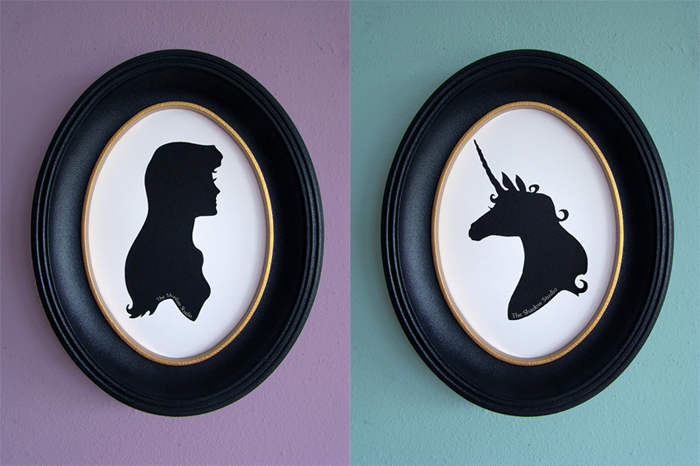 I found these two amazing silhouette portrait from Shadow Studio. I need to make my own version of these to put on the wall next to each other.